Although iPhone unlock is not demanded as much as it was a year ago, there are many people who need unlocking tools to unlock their iPhone. Unlock tool for iPhone is not demanded as much as it was before because Apple now sells officially unlocked iPhone. But if you have an AT&T (GSM) iPhone 4S it would be better (cheaper) to unlock it rather than buying it officially unlocked from Apple, that’s why we still need unlock tools software or hardware-based. The software-based unlock ultraSn0w has not been updated to unlock newer basebands ever since iOS 4.0 came out two-years ago with the release of the iPhone 4. 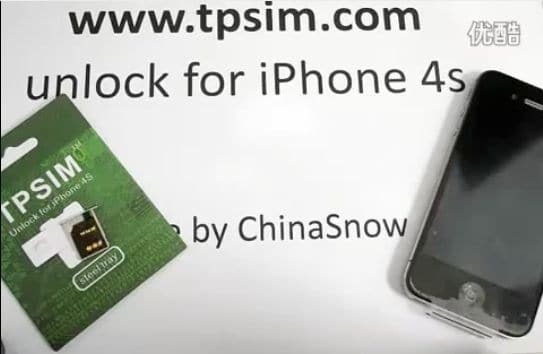 That left iPhone 4 users on newer baseband released after iOS 4 with no way to unlock their phone until Chinese company ApplenBerry released their hardware-based unlocking tool GEVEY SIM, which allows iPhone user to unlock the iPhone on any baseband included in iOS versions below iOS 4.3.5. ApplenBerry has not released GEVEY SIM that work on iPhone 4S or iPhone 4 on iOS 5 or newer firmware’s baseband. ChinaSnow is currently taking pre-orders for this products for $84.95 at Beijingiphonerepair.com and will begin shipping it on the week of February 20-27, 2012. So if you want to unlock your AT&T or any other GSM iPhone 4S, this will become the only method if your carrier doesn’t offer IMEI unlocks like AT&T. Since is not out yet, there’s no report of this working yet, so take this as news/information only.